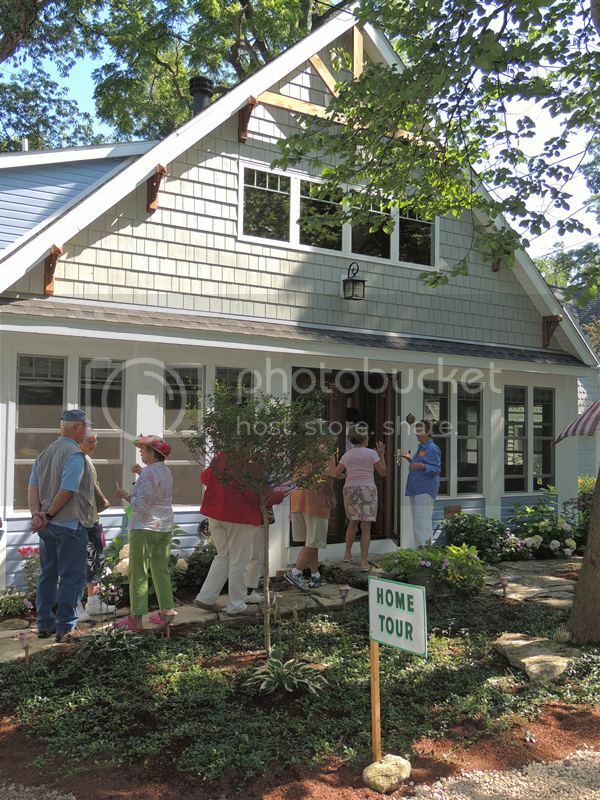 The Lakeside Women's Club (LWC) 60th Anniversary Tour of Homes will take place from 9:30 a.m.-3:30 p.m. Thursday, July 28. The 60th anniversary of the tour will feature eight homes, as well as Green Gables, home of the LWC, and a bonus stop at the Hotel Lakeside lobby. Some of the homes are small, so ticket holders may have to wait in line to enter. Tickets for the tour are $10. A special Tour of Homes Pass to enter the Lakeside grounds is available to guests for an additional $10, if a Daily or Season Chautauqua Pass has not already been purchased. 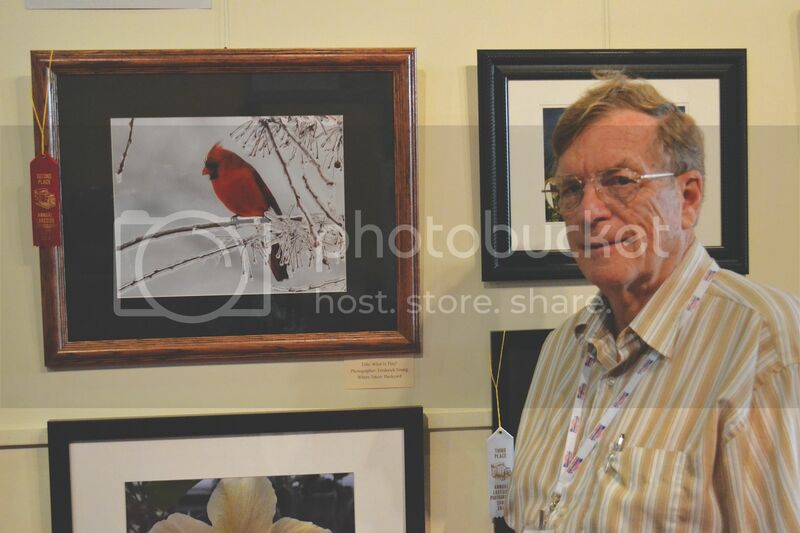 The 41st Annual Lakeside Photography Show will take place from Monday, July 25-Friday, Aug.19 in the Hoover Auditorium lobby. The exhibit will feature entries taken by amateur photographers from Lakeside and the surrounding area. The show's informal opening will be held at 7 p.m. Monday, July, 25. Photos may be viewed a half-hour prior to all Sunday Hoover Community Worship Services and all evening Hoover Auditorium shows or from 3-5 p.m. Sundays, Tuesdays and Thursdays. Better known as a chief dreamer and spiritual entrepreneur of ministry marketplace innovation, the Rev. Dr. Michael Slaughter took a 90-member congregation to more than 4,000 members. His call to afflict the comfortable and comfort the afflicted challenges all to wrestle with God and their God-destinies. The Rev. Dr. 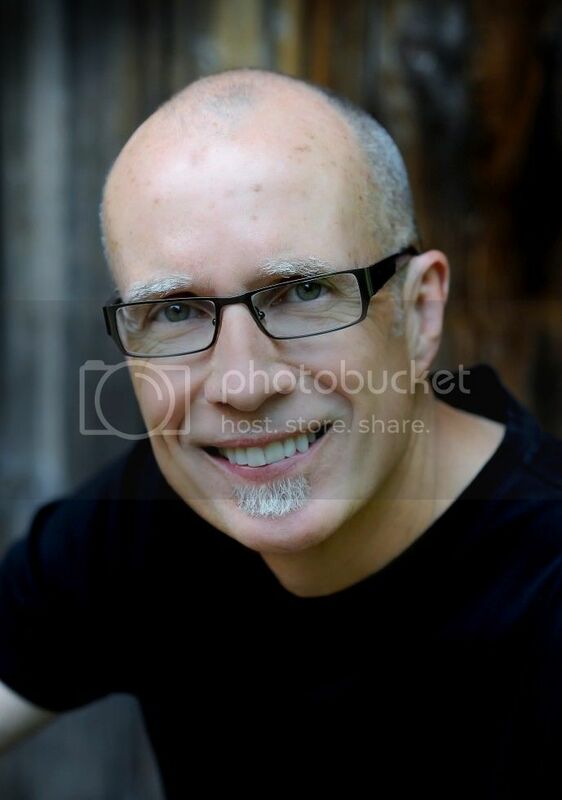 Slaughter is the lead pastor at Ginghamsburg United Methodist Church (UMC), which was named one of the top 50 churches in the U.S. by The Church Report in 2005 and 2006. The publication also named him as one of the top 50 most influential Christians in America. The Rev. Dr. Michael Slaughter will serve as Preacher of the Week from July 24-28. The Chautauqua Initiative: Theocratic Antidote to the Secular City? 8:15 a.m. 343 Cherry Ave.
Back by popular demand, Rhythmic Circus' hard-hitting tap show will take place at 8:15 p.m. Saturday, July 23 in Hoover Auditorium. 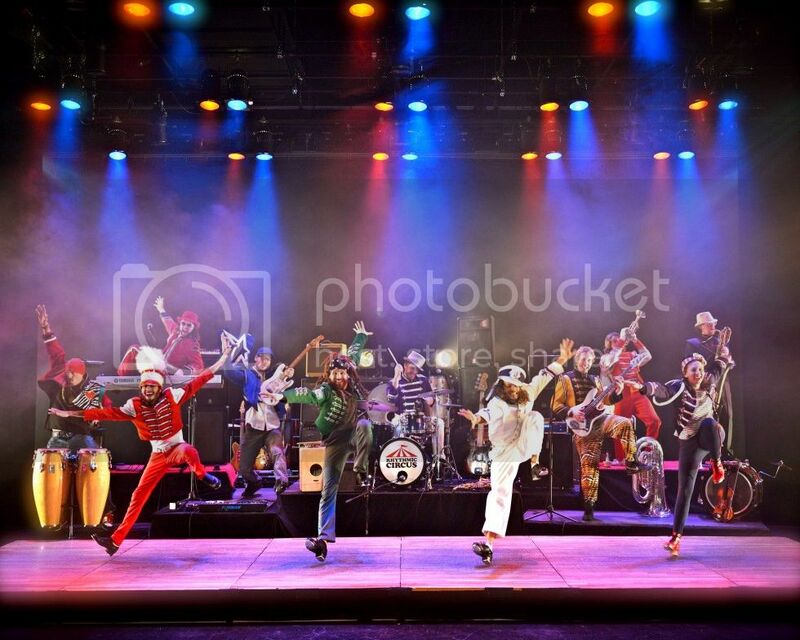 Rhythmic Circus presents a unique, high-energy evening of entertainment that needs to be seen to be believed. The group has built a dynamic reputation of humor and rhythm by performing their extraordinary tapping skills on everything from sand to folding chairs. Their band provides a live soundtrack to create a one-of-a-kind event. 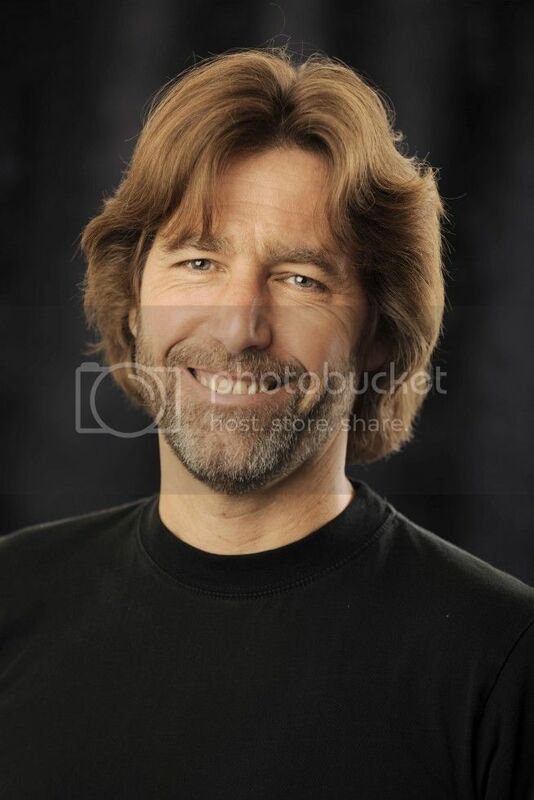 This week's Family Night in the Park concert will feature the music of John Flynn at 6 p.m. Sunday, July 24 at the Steele Memorial Bandstand/Gazebo. As an activist who is known for his powerful music that is often laced with humor, wisdom and compassion, Flynn's life and career came from a sudden realization that he could use music to reach people. As a young man in high school, Flynn was honored as a scholar athlete and was set to play lacrosse for the Navy thanks to the two congressional recommendations to the Naval Academy that he was awarded. However, when he found out that joining the Navy meant leaving his guitar behind, he realized how much music actually meant to him and was forced to admit an entirely new set of dreams out loud. Dr. William Kelso "Jamestown, the Buried Truth about America's Birthplace"
Lakeside Chautauqua welcomes Dr. William Kelso, renowned historical archaeologist, to Hoover Auditorium at 7:30 p.m. Monday, July 25. Dr. Kelso, a Lakeside, Ohio native, is this season's featured speaker for the Chautauqua Lecture Series. In his lecture, titled "Jamestown, the Buried Truth about America's Birthplace," Dr. Kelso will share the findings of his work in uncovering Fort James, the first permanent settlement in the New World, which was previously thought lost. Dr. Kelso is the Director of Research and Interpretation at Historic Jamestown. 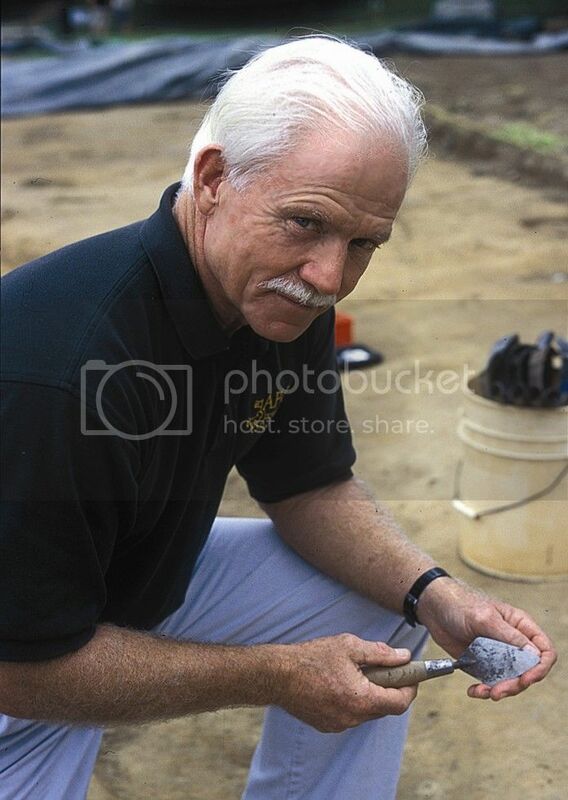 He holds a master's degree in early American history from the College of William and Mary, a doctorate from Emory University, honorary doctorates in philosophy, archaeology and science, is a Fellow of the Society of Antiquaries of London and is a proud alumnus of Baldwin Wallace University. 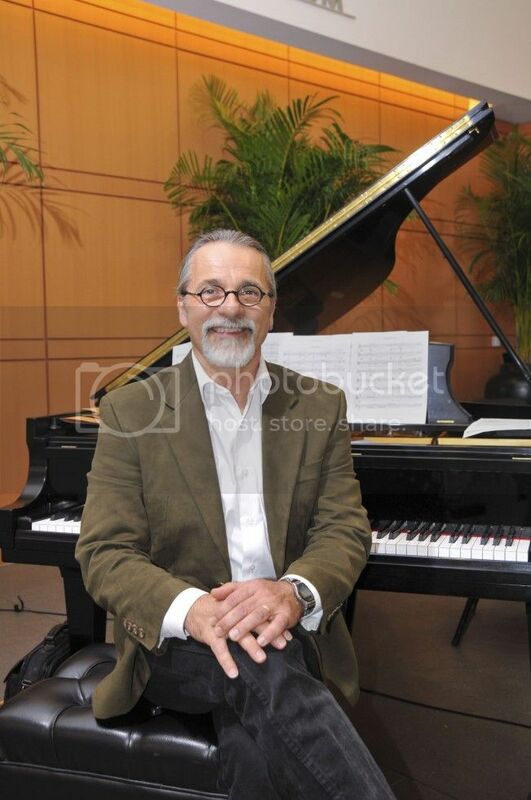 Bradley Sowash is an acclaimed composer, creative pianist, recording artist, author and educator in improvisation. He will lead his quintet in concert at 8:15 p.m. Tuesday, July 26 in Hoover Auditorium. The Bradley Sowash Quintet features Sowash on piano and as bandleader, Ben Huntoon on trumpet, Chad Greenwald on bass, James Miglia on saxophone and Joel Steward on drums. The concert will feature best-loved hymns and spirituals re-imagined by a jazz quintet. 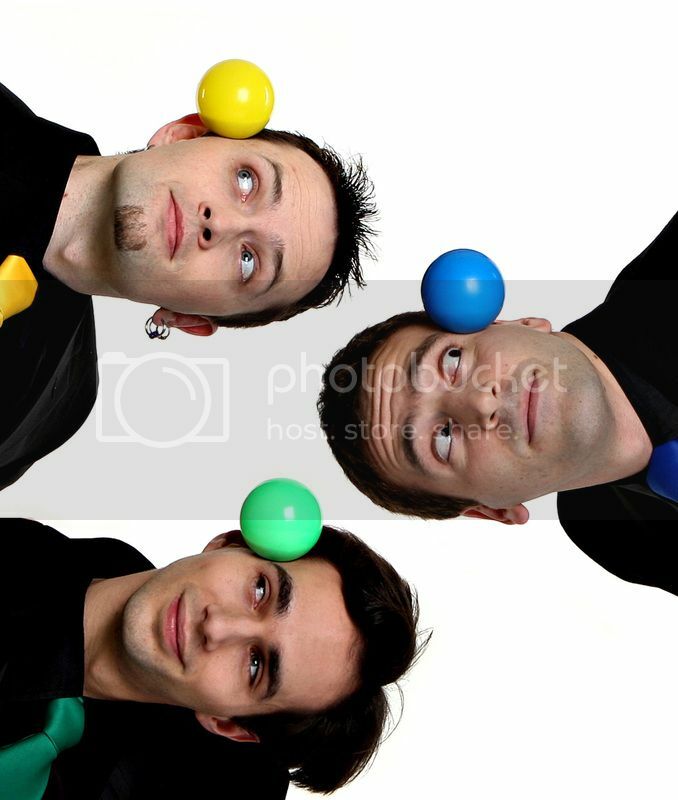 Playing By Air is a playful show that incorporates a variety of juggling, circus acts and music. The trio will bring their comedic take on traditional theatrics to Hoover Auditorium at 8:15 p.m. Wednesday, July 27. Playing By Air's act features physical comedy, dance and a variety of other arts. Their performances are genuinely funny and high-energy, but what really makes them unique are the purposes behind their performance. 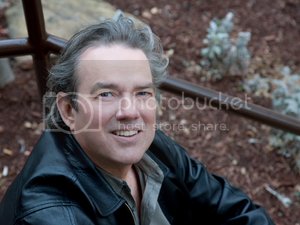 Jimmy Webb, composer, singer and songwriter known worldwide as a master of his trade, has had many chart-topping hits. He received his first gold record at the age of 18, was the National Songwriter Hall of Fame's youngest ever inductee and the only artist ever to receive Grammy Awards for music, lyrics and orchestration. At 8:15 p.m. Thursday, July 28 in Hoover Auditorium, Webb will offer fans a very personal music event that celebrates the legacy he created with his friend, Glen Campbell, including virtual duets and stories of how these iconic songs came to be. 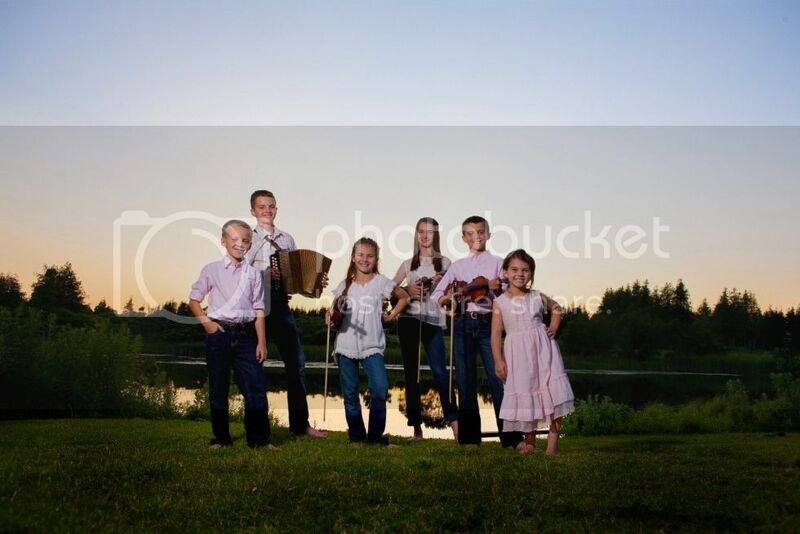 With three generations of Leahy musicianship, Doug Leahy and his wife, Jennifer, along with their children, are keeping traditions alive through music, song and dance. Next Generation Leahy will perform a special show at 8:15 p.m. Friday, July 29 in Hoover Auditorium. Along with Doug and Jennifer, the musical family includes Adele, age 13; Gregory, age 12; Angus, age 10; Cecilia, age 8; Joseph, age 7; and Evelyn, age 5. 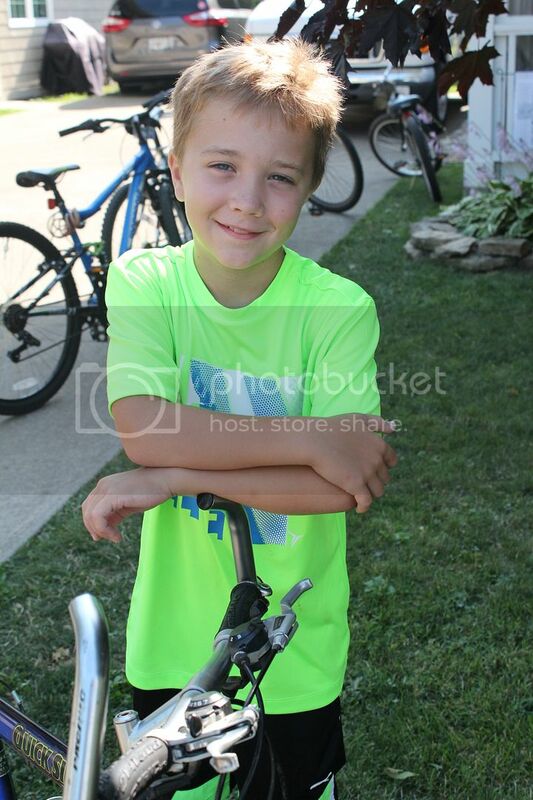 The Norma Faris Ohio Pre-Teen Singles Shuffleboard Tournament , for ages 12 & under, is on Monday, July 25. The Norma Faris Ohio Junior Singles Shuffleboard Tournament, for ages 12 & under, is on Wednesday, July 27 . All age-eligible youth are welcome to test their shuffling skills. Sign-up at the shuffleboard courts begins at 8:30 a.m. and closes promptly at 9 a.m. There is no entry fee, and all equipment is provided. Play begins shortly after entries close. There will be a break for lunch. Play concludes by mid-afternoon. Shuffleboard trophies will be awarded to a number of higher-placing players. For questions, contact any Shuffleboard Staff member. Please note: a parent or guardian must sign an official release form, which is available at entry. Ohio State Shuffleboard Association (OSSA) rules require all tournament players to wear closed-toe shoes. The All Lakeside Tennis Tournament will take place at 9 a.m. Monday, July 25-Friday, July 29. 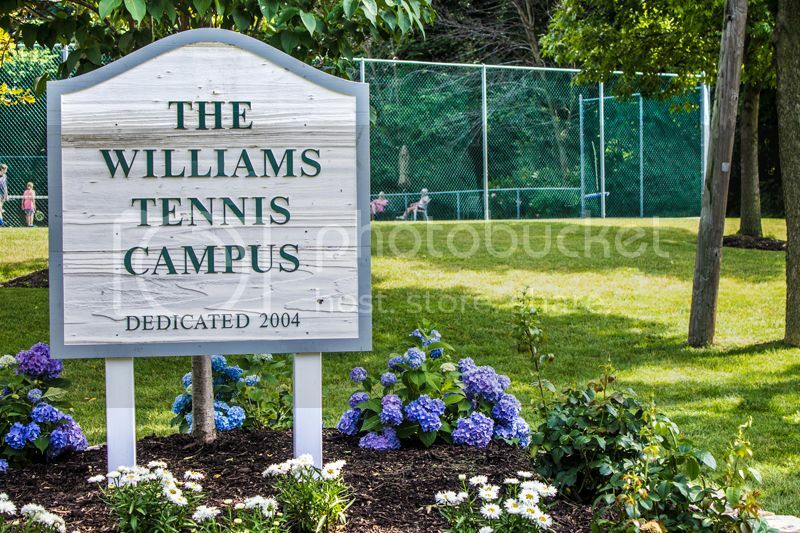 A potluck dinner will be held at 5 p.m. Sunday, July 24 at the Williams Tennis Campus, with the draws revealed at 6:30 p.m. Please note: all adult and youth tennis programs are cancelled during the All Lakeside Tennis Tournament. 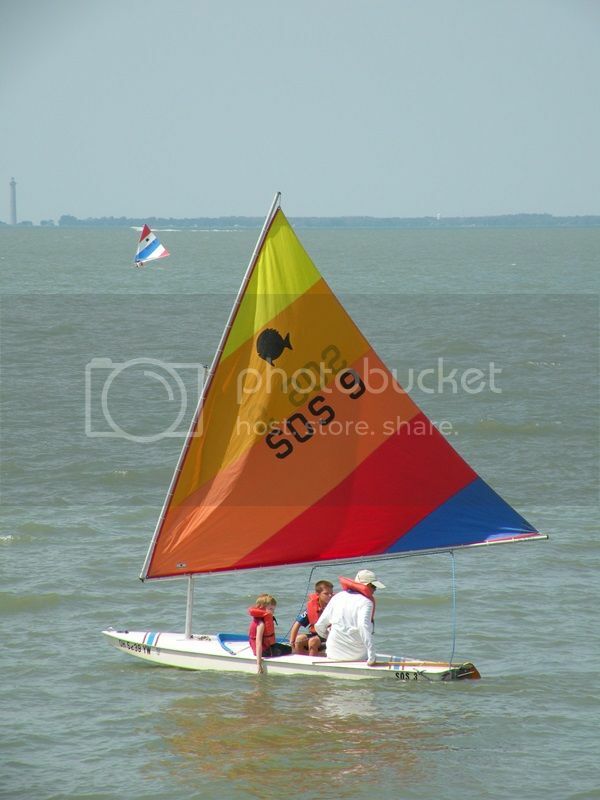 The August Cup Sailing Race will take place at 9 a.m. Saturday, July 23, weather permitting. This race is for two sailboat classes, 22' and above and 30' and above. All participants are to meet at Lakevue Marina, which is located one mile outside the West Second Street Gate, at 8 a.m. for a skippers' meeting to determine the course. The race will start promptly at 9 a.m.
Pre-registration is not required, and there is no cost to participate. The community's largest water balloon toss will be held at the future Pool & Wellness Center location. There will be more than 500 water balloons available for participants to toss. Friends, neighbors, kids, parents and grandparents are invited to take part in this exciting event. We're all in this together. During this time, the future Pool & Wellness Center location will be staked out for viewing at our Site Gathering, rendering images of the facility will be available and volunteers will be on hand to answer questions about the Pool & Wellness Center. Children ages 7-11 are encouraged to join a wet and wild ride in a vintage wooden boat, while in search of buried treasure. Tickets are $5/child and can be purchased at the Lakeside Information Center. Space is limited, and pre-registration is encouraged. All are invited to join Kevin Sibbring, President/CEO, Board members, staff and fellow Lakesiders to provide valuable input regarding Lakeside's future. This week's conversation will focus on wellness. From 6-8 p.m., 30-minute boat rides cost $20 for adults and $6 for youth (ages 4-12). Starting at 8 p.m., hour-long sunset cruises aboard Amazing Grace cost $32 for adults and $10 for youth. 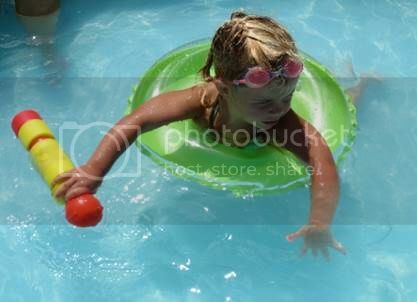 Children age 3 & under are not permitted. Lakeside will recognize and celebrate the service and commitment of volunteers at the dinner. RSVP by Friday, July 29 to advancement@lakesideohio.com . The event will kick-off with a cookout from 11:30 a.m.-2 p.m. Admission to Heritage Day is open to all; however, tickets will be sold to participate in individual activities and booths if interested. A variety of activities and old-fashioned snack booths will line the Hotel Lakeside lawn from 1-3:30 p.m. To participate in each activity or receive an old-fashioned snack, purchase tickets from 12-3 p.m. in the Pavilion Circle and exchange them at each booth. Experience or a college degree in Recreation Management or Health & Wellness is preferred. If interested, contact John Mann at employment@lakesideohio.com or (419) 798-4461, ext. 252. The Lakeside United Methodist Church (UMC) is offering Vacation Bible School (VBS) to children, age 5 & older, from 6-8 p.m. Aug. 1-5. The theme for this year is "Cave Quest: Following Jesus, the Light of the World." Registration forms are available at the Lakeside UMC office, or by contacting (419) 798-8119 or vbs_info@lakesideohumc.com. Participation is limited, so early registration is suggested. 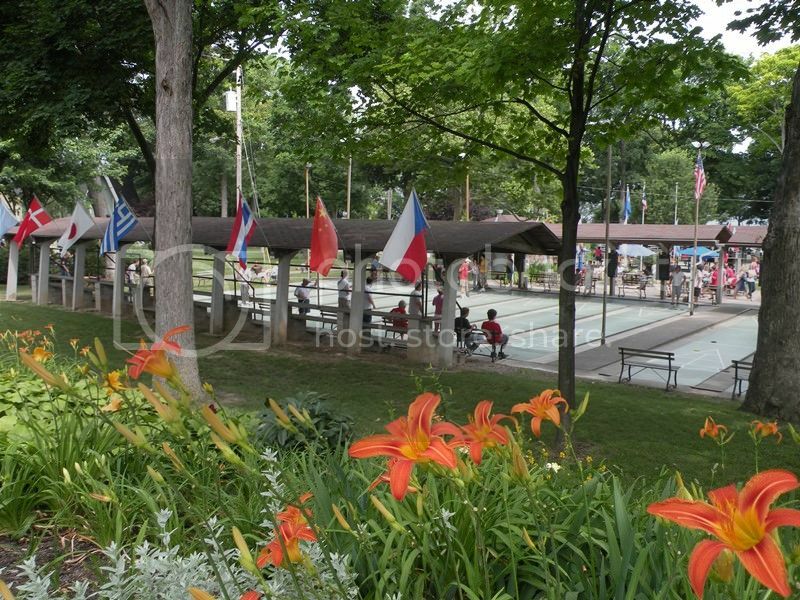 Lakeside is seeking assistance in maintaining gardens, including watering and weeding. For details, contact Dave Geyer at service@lakesideohio.com or (419) 798-4461, ext. 238. The Conference & Event Planning Office is also seeking employees for Event Team. There are some opportunities to remain employed several weeks beyond Labor Day. or (419) 798-4461, ext. 252. 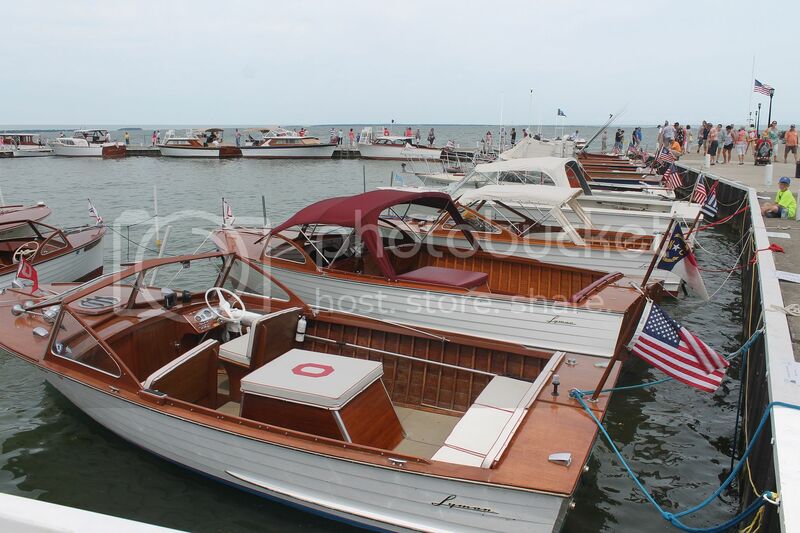 The Lakeside Wooden Boat Show showcased more than 50 boats. Point of Grace performs in Hoover Auditorium. 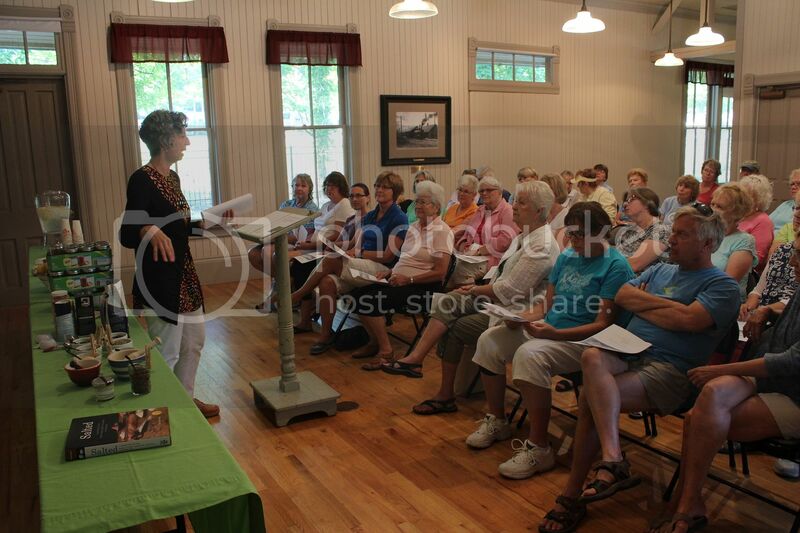 Pamela Rausch speaks at the Herb Study event.